THIS IS AN IDEAL UNIT FOR ALL YOU BOYS DOWN ON THE MURRAY RIVER. We’ve sold a few down that way, you may see them around. 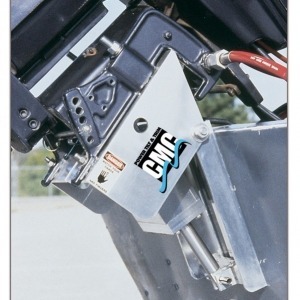 The CMC BA-130 Breakaway unit is designed for boaters that travel in shallow stumpy areas. It allows small boats and motors to slide over submerged logs or debris at low speeds to get to a downed bird or your favorite fishing hole. Helps ride over sand bars when you are out crabbing. The BA-130 is rated for outboard motors up to a maximum of 130 H.P. 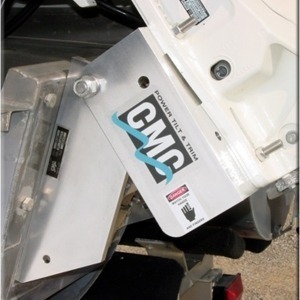 The unit is mounted between the boat transom and the outboard motor. It is designed to help minimize damage to the outboard motor and boat transom only when an obstruction is encountered while running at speeds under 5 M.P.H in the forward direction. As it encounters an obstruction momentum causes motor to deflect and rotate up to 45 degrees to slide over the obstruction. 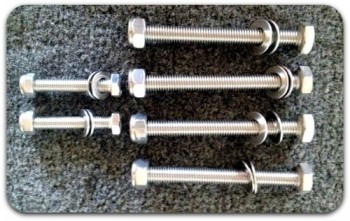 A drawbar spring is incorporated in the unit to help return the motor to its normal position. The drawbar spring also holds the motor at the normal position while operating in the reverse direction at low R.P.M. The BA-130 is not designed to encounter obstructions while the boat is being operated in the reverse direction. The unit is pre-drilled with the standard B.I.A. whole pattern. For motors that have clamps with thumb screws, CMC part #13022 Transom Clamp Adapter is required. 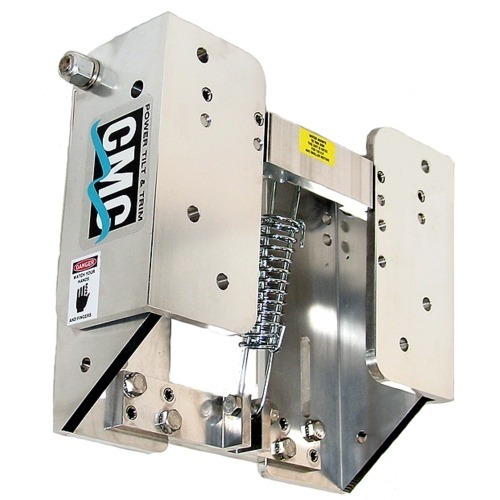 Product weight is 16kg and carries a limited 1-year warranty against defects in workmanship.